Germany matches are always a thrill. Back in the day if they lost and you were there you were guaranteed an unforgettable experience and a warming dose of schadenfreude that flooded organs you didn’t know you possessed. Since seeing them three times at the 2006 World Cup, even their wins have become something to relish as my weltanschauung has widened and I learned that the childhood Victor comic German was an embarrassing cliche..
Here’s the cracking 11 Germany games I’ve been to, each memorable in its own way. 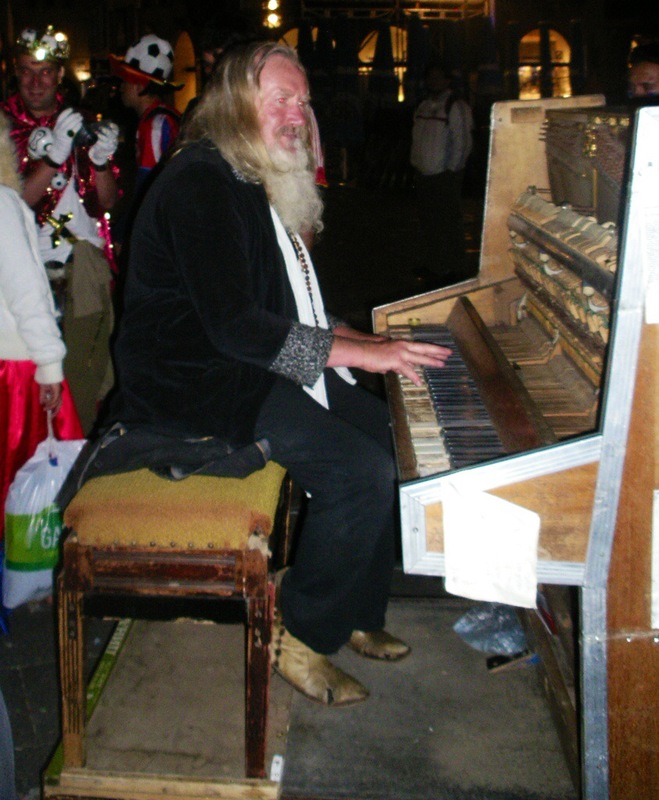 At 3am, seven hours after Germany’s 4-2 win over Costa Rica, a 60-year-old pianist was banging on his old Joanna in the middle of Munich. Outside the Town Hall, he was cranking out ditties to a motley crew of crazy Costa Ricans, drunken Germans, moustachioed, sombreroed and short Mexicans and two Welsh guys high as red kites on 2006 World Cup fever. At about 2am, after we’d beaten Luxembourg 1-0 in a Euro 92 qualifier, through an Ian Rush goal, Clayton Blackmore being sent off early, fans and players bumped into each other at a nightclub. Blackmore, wolfishly good-looking in his early 20s and apparently not too bothered by a dismissal which caused me to suffer a chronic stomach ache and what appeared to be early-onset Parkinson’s for the rest of the match, then spent the night dancing groin-to-groin with a local lassie as half the Welsh team celebrated a not-very-momentous win. The club shut. A posse of fans sauntered drunkenly towards their beds. Gary Speed and Malcolm Allen somehow found themselves walking alongside us. I pulled out my vuvuzela, the first one ever seen in Wales and Luxembourg I wager, and blew it hard – the sound reverberated up and down the road. Seemed like a great idea at the time. We passed it around and Gary Speed gave us a parp. Gary Speed, glassily smiling what became his trademark smile, blew my horn. Aged 20 at the time, there was no visible ego (unusual in footballers I’ve since learnt), no airs, no graces. He just seemed like a nice lad. Words that seem to have been uttered ever since by every who knew him. I never met him again. Gary Speed found dead. While shocked, for some reason this death spoke to me through the death of a very close friend who took his own life in a very similar manner in 2006. My thoughts were less of Gary Speed and more of my pal – the death rattled the senses and defied belief. A sense of being shaken violently stayed with me for a month back in 2006. In the days that followed, amid the grief, quite clearly fans were enduring the same shock and having the same thought processes and experiencing a sense of bewilderment. The memory of it really does stay with you forever. Sr Vargas: You like lamb? Me: Of course, with mint sauce. Where’ve you come from today? Sr Vargas: Bournemouth, it’s lovely. Sr Vargas: San Jose, Costa Rica. Luckily the Ticos omitted to feed Sr Vargas the ball for the entire 25 minutes so he never got to embarass me. But a tense last few minutes ensued as one of his team-mates got clobbered by S4C’s Tim Hartley who swung and missed the ball in the box, clattering an attacker with a kick that would have felled a camel and then swore blind it wasn’t a penalty. From three yards away I felt it couldn’t have been a clearer spot-kick and Sr Vargas despatched it to make it 2-1 to us. We clung on for a deserved victory. Our female keeper had to go off injured in the second half injuring her foot in a brilliant stop and Greg from Aber, after a mad dash to the game, stepped into the breach to seal a not-very-heroic but strangely satisfying triumph. The charming Costa Rican Ambassador to Britain, Pilar Saborio de Rocafort, bought 20 quid’s worth of raffle tickets and enthused about what a wonderful occasion the day had been, bringing Costa Ricans together for a rare chance to see their side play and also spread goodwill. Having met many of the Costa Ricans in Cardiff for the match, it has to be said they brought a welcome colour and humility to the day. Any chance of a return fixture please? Not in Bournemouth, but in San Jose. 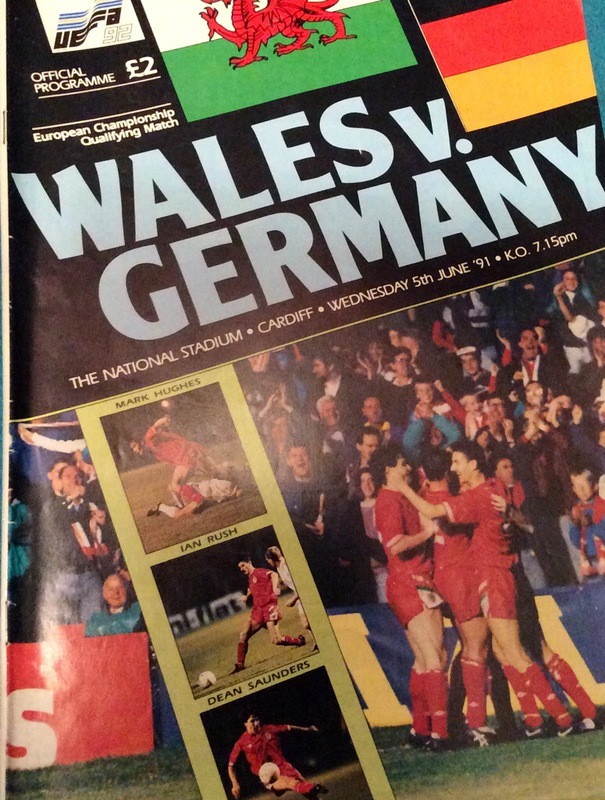 A three-month cloud hovered over what must be the most unanticipated match in Welsh football history. Usually, as fans, we’re mad for it. This time we were mad for it to be over. That was the feeling beforehand anyway. But as the evening progressed there was plenty to savour and in every respect the tone of events was spot on. What a great job the FAW did. The association’s handling of the last three months was respectful and considerate and deserves great credit. And it says much for the FAW”s measured, appropriate responses that the match was all anyone could have asked for. There was no wallowing in mawkish recollections, just simple gestures genuinely felt and warmly expressed. Nice touches everywhere – from the ‘Gary’ spelt out on the Canton Stand (those of us holding up coloured sheets were trying to figure out what we were showing), to the male voice choir, to the employment of a World Cup Final ref, Howard Webb, it all struck the right respectful note. The teenagers’ ‘Shoes off for Gary Speed’ in the Canton stand was welcome relief – why do they do this? – as were the opposition. Let’s face it, we were hoping for someone more illustrious but on reflection it was entirely fitting to end where Gary Speed had started. Costa Rica turned up to give us a game, scoring at a time when perhaps Welsh players’ minds weren’t entirely focused. Why would they be? The Ticos were quite rugged, could have had a second goal and seemed more cohesive compared to us. In contrast we played too many lateral balls and without Aaron Ramsey and Gareth Bale, the team was shorn of direct attacking menace. Craig Bellamy, distraught at a pal’s death and facing speculation about this being his last game for his country, quite frankly deserves a medal just for turning out. The personal and psychological pressure on him must have been immense. He took it all on board and once again, unlike others who’ve turned their backs on their country, strode out to give his all. Should he pack Wales in, his reasons are pretty much beyond question. Should he stay, then let’s just him appreciate his crazy energy and manic passion for the game for as long as it lasts. He’s the closest we’ll ever get to a Maradona character. The Human Firework has been a positive force of nature ever since he headed the remarkable winner in Denmark in 1998 through to his goal against Italy in 2002 and his evident on-field leadership of the last couple of years. Not to mention his charithy work in Africa. It would be great if he clung on to see if Welsh football finally comes of age by qualifying for a tournament. If we do, it won’t be because of Gary Speed, who inherited the nucleus of a half-decent side, made good decisions after mediocre early results and appeared to have us on the right road. It will be down to factors influenced by him, key players turning up, continuing to turn up and luck in games to come. But whatever happens in the next two years, there is a guiding light and a strange sense of destiny hovering over the side. Whatever is achieved will be for Gary Speed.